My oldest son just graduated high school and before I even had a chance to let that sink it, he’s planning what he’s going to need for his dorm room in college! Thank goodness Bed Bath & Beyond has thought of everything to make sure he will get his best start. Many students don’t know exactly what they need or want to take to college and Bed Bath & Beyond has a solution for that! You can make an appointment to shop with an expert who will walk you through every detail. They also offer school info sheets so you can get the details on what you should bring, what’s not allowed, and what your school provides. 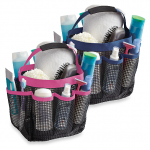 Bed Bath & Beyond is top in the class when it comes to college students getting ready to move into their dorm room. With their College Registry option, you can create a list that you manage and that your family and friends can find on RegistryFinder.com. Also, don’t forget to take advantage of BB&B’s college checklist and “Pack & Hold” benefit – where you can shop at your home store and pick up at a store near your school. Enjoy planning this next stage in life and remember to visit our Pinterest board where you can find more “dorm life” necessities. 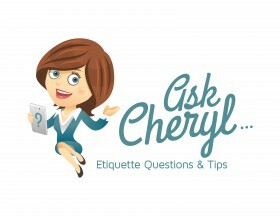 AskCheryl: As Friend & Officiant, Do I Need to Give a Wedding Gift?